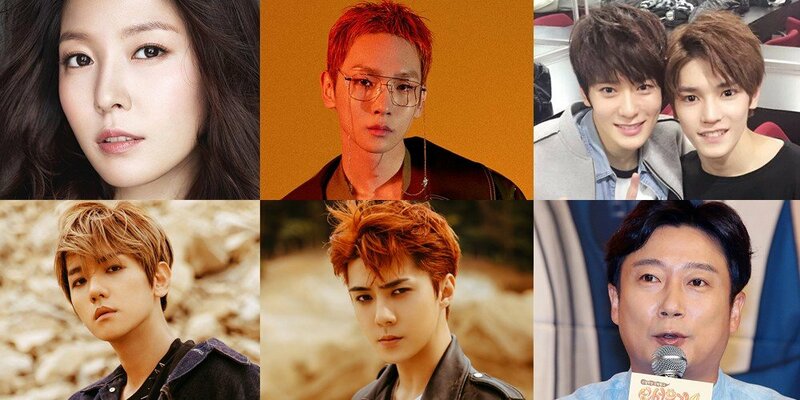 BoA, SHINee's Key, EXO's Baekhyun, Sehun, NCT's Taeyong, Jaehyun, and Lee Soo Geun are reportedly appearing together in an SMTown special episode of 'Happy Together 4'! Industry insiders say that this loaded, SM Entertainment sunbae/hoobae cast will attend a recording for 'Happy Together 4' some time this weekend. All of the above SM artists with the exception of Lee Soo Geun have either recently made comebacks, or are awaiting their comebacks/solo debuts. Who's pumped for this super SM special of 'Happy Together 4'? The special broadcast is expected to air in mid-November. BoA’s FIRST EVER Happy Together appearance!!!! So excited!!!!!! ALL of them together?? This is going to be epic oh my god.